44166 PER2751.jpg 500X638\PER2751.jpg 44165 PER2751_black.jpg 500X638\PER2751_black.jpg 59216 PER2751_denimpreview.jpg 500X638\PER2751_denimpreview.jpg Send A Hint! 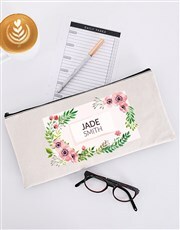 Product Description: less text Everybody needs a personalised pencil case, whether it's for school, work, or home! 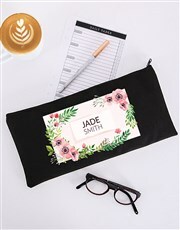 Spoil her with this awesome pencil case which is personalised with a name and beautiful floral design, making this one special gift! 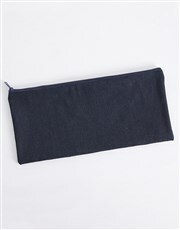 *Available in cream, black or denim. 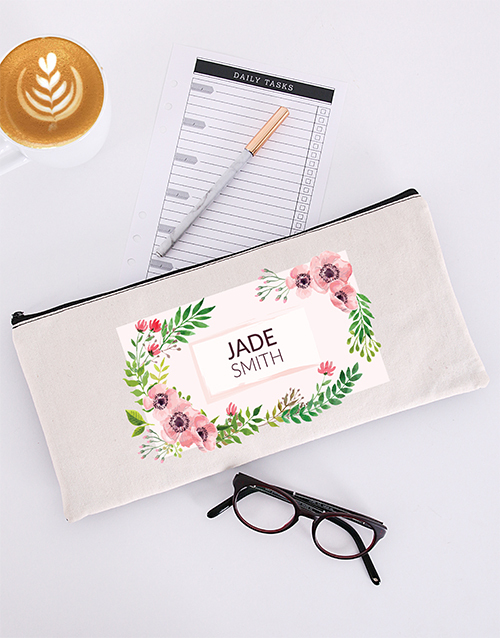 Get this Personalised Floral Pencil Bag delivered with NetFlorist.